So you’ve just become or are thinking about becoming self-employed. It’s an exciting time and you’re bound to have plenty of questions. So we’ve put together a few of the most common and important questions and answers you need to know. Get all the Self Employed advice right here. What are the advantages and disadvantages of becoming self-employed? If you’ve decided that self-employment is for you, then the next step is to register with HMRC. Even if you’re only doing work on the side, you still need to let HMRC know if you’re earning a profit. Ideally you want to register as self-employed within three months of the beginning of trading or you could be hit with a fine. Luckily it’s easy enough to set up and the quickest way to do it is online here. 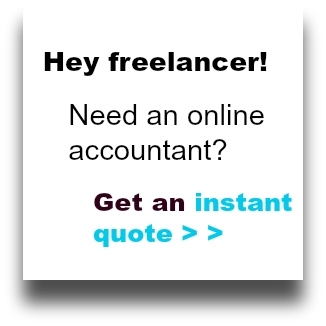 How much tax will I have to pay if I’m self-employed? Once you’ve become self-employed paying tax is up to you. This means that once you get an income, don’t be tempted to spend it all at once, some of that belongs to HMRC. You will still have your personal allowance of £11,500 so don’t worry about tax until you look like you’re going to hit that threshold. After that, if you’re a basic rate taxpayer (earning up to £45,000) then you’ll be taxed at a rate of 20%. Usually you should aim to put 30% of all your income aside for taxes and National Insurance. Putting aside the same percentage every time you earn something will mean that you’re prepared for paying tax. You don’t want to be hit with a big bill that you might struggle to pay if you’re in a dry patch by the time your tax is due. In order to pay tax you will need to complete a self-assessment tax return online. In this you have to tell HMRC about any income and expenses. This will then tell them how much profit you’re making and therefore how much tax you will owe. For more information and to complete a tax return, you can visit the government’s website here. Do I still need to pay National Insurance? As well as income tax, you will need to pay National Insurance contributions too. There are currently two types of National Insurance that may apply to you and will depend on income. Class 2 National Insurance is a flat rate if you’re earning over £6,025 at £2.85 per week for all self-employed people. Class 4 contributions are at 9% of your income if it exceeds £8,164 but this drops to 2% if you earn over £45,000. You won’t have to charge VAT unless you hit the threshold of £85,000 which is the point where you’ll have to register, whether you’re a sole trader or limited company. Once it looks like you’ll hit that threshold you should register quickly and then begin charging VAT on your goods or services (unless they are exempt). It’s important to make note of all your business expenses as this can be used to save you some money. Your expenses will be deducted from your profit and therefore you’ll be charged less in tax. But what can you claim as an expense? Can I claim use of my home as a business expense? You might be able to claim a portion of your bills as expenses if you work from home. These can include, electricity, heating, rents, internet and phone use. In order to work it out, you’ll have to divide the cost of running your home appropriately. For example, if you have five rooms in your home and use one as an office, then you can divide your bills by five. Or you could divide your bills by how many days a week you work. Can I claim travel as a business expense? You can claim some travel costs that come with running your business. You can’t claim for commuting or for personal travel costs. If you travel as part of your business, you can claim things like fuel, parking, insurance, breakdown cover or public transport costs. How should I record business expenses? It’s important that you record your expenses accurately. This means that you’re going to have to keep hold of receipts and invoices. Try to keep them altogether so you don’t lose track. So if you’ve got physical receipts you might want to scan them and keep copies of them with email invoices. It might seem like overkill but you should aim to keep records of your expenses for five years. This is in case HMRC ever want to investigate you so you’ve got evidence to back up any expense claims you’ve made. Some people use apps or special software to make a record of their expenses and keep receipts. If you prefer, you could simply use a spreadsheet. You should then add up all your allowable expenses for that tax period and put the total on your Self-Assessment tax return. You won’t need to give proof, but you should still keep it if HMRC ask to see it. Have we missed any advice out? These are the most common questions we see around self-employment but if you’ve got any more questions, you can contact us here.